One thing you’ll learn from just looking at the recipe is that how packed with ingredients it is. 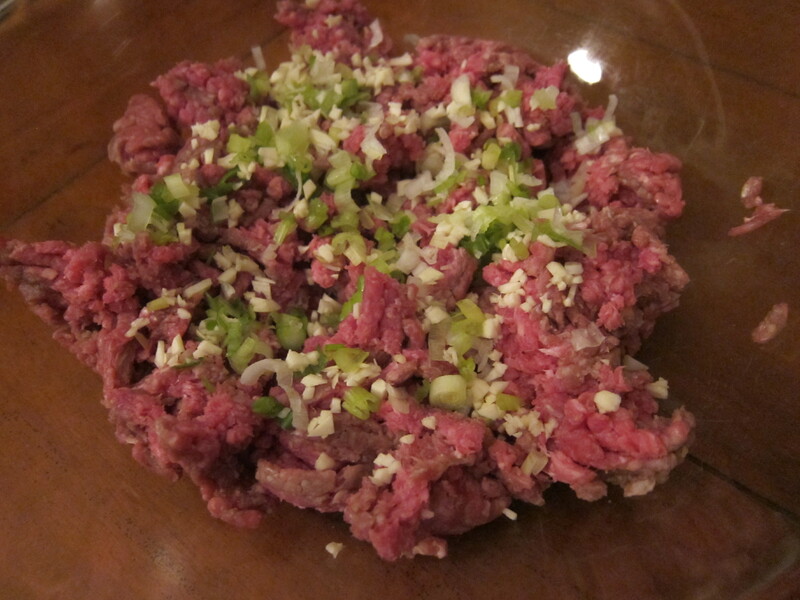 Here’s how my meat looked at the beginning — and this was even before I’d added the wine, egg, dry spices and more. Having tried it, I have to say it’s the most umami-packed burger I’ve ever tasted. The recipe may look a little labor-intensive, with all that chopping and whatnot. But after your first bite, I can guarantee that you won’t regret it. So, have at it and buon appetito! This entry was posted in American, Books, Recipes and tagged Cuba, Ernest Hemingway, Finca Vigia, Hamburger, Paris Review by Cheryl. Bookmark the permalink. Oh my goodness, this Hemingway Hamburger is heart stopping! I came to peek at your pie for #LetsLunch but got sidetracked by this post. You’re right – this has the umami flavors packed within. This type of burger reminds me of how Filipinos like theirs, with layers of flavors. I’ve bookmarked this recipe. Will do it soon. Thanks for sharing, Cheryl! I like the aggressive seasoning here — I’m not a huge burger person, but I bet I’d like this recipe! Great looking recipe and I love your obsessiveness. 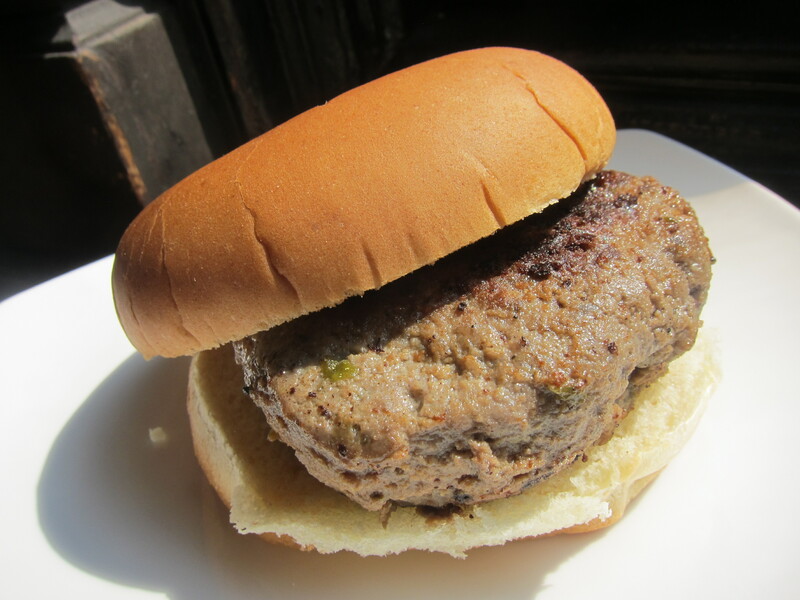 Revisiting your post on Hemingway’s Hamburger for this month’s literary Let’s Lunch event. I can’t forget how delicious this burger is with all those layers of flavors. As for Hemingway, what’s not to love? He’s my favorite, too and I love all his works. Fun to be with you on Let’s Lunch, Cheryl! How interesting! Hemingway was certainly an original and his burger is unlike any I’ve ever seen or tasted ~ and it looks great!